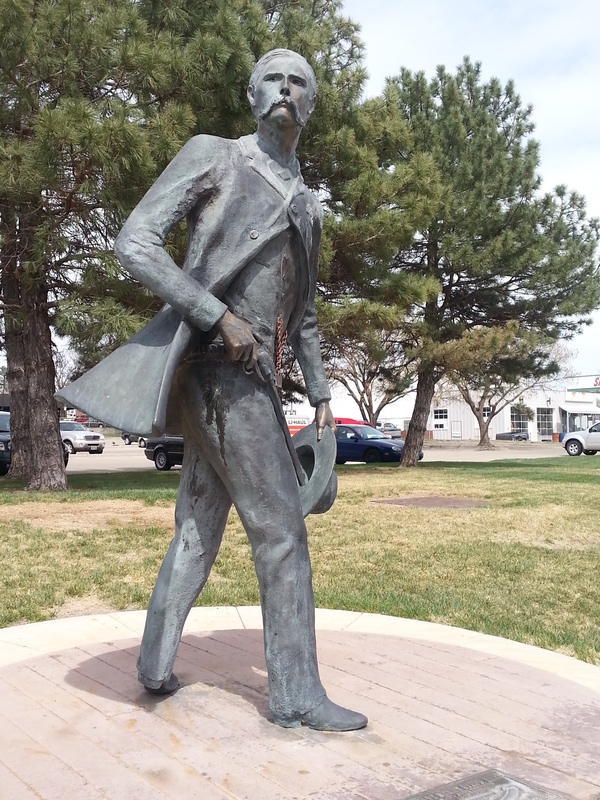 Dodge City (KS). This stop was all John’s idea, and I’m not going to let him forget it. Here is a town whose time has come and gone. But, it’s gone – no question about that. We finally found a place that we have visited, and can scratch from our list. I’m not coming back. 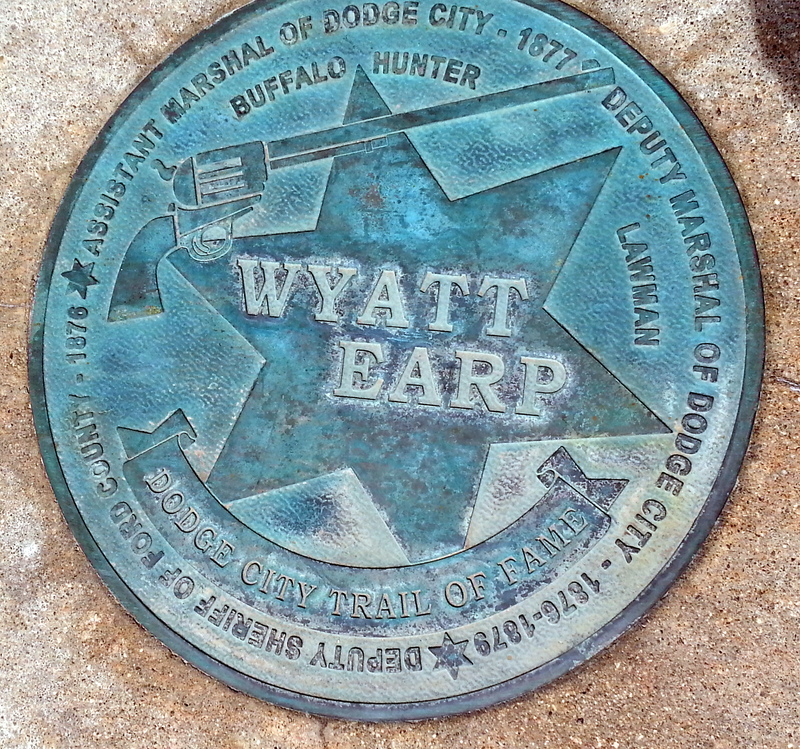 Wyatt Earp, Bat Masterson, Gunsmoke – it all sounds like fun, doesn’t it? We headed off in the morning on our bikes, after it finally warmed up a bit. It’s windy out here, and so dry. Makes the wind feel like it’s blowing right through you. 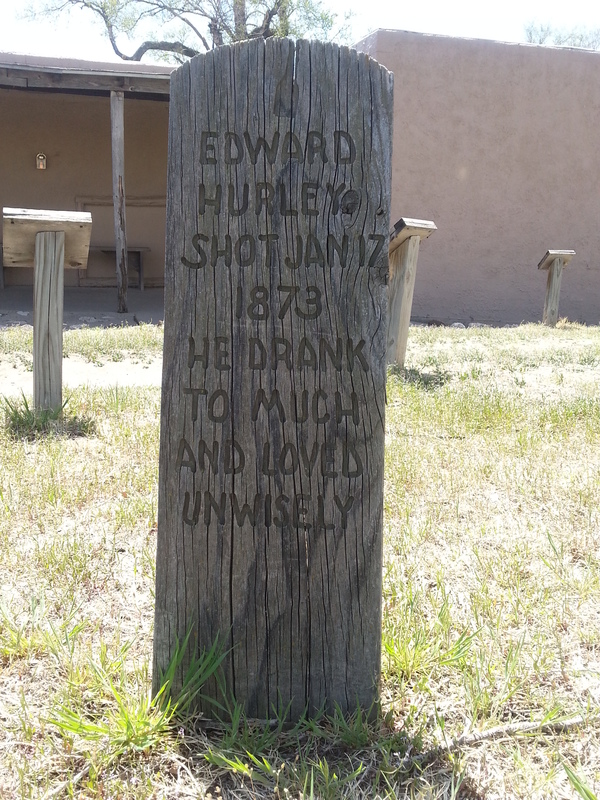 Our first stop was Boot Hill, a museum, and reconstructed gunslinger town. There was only us, and two other old, tired couples there. The famous Long Branch Saloon? Empty! The General Store? Empty! Old bank, church, school, gun museum? You know the answer. 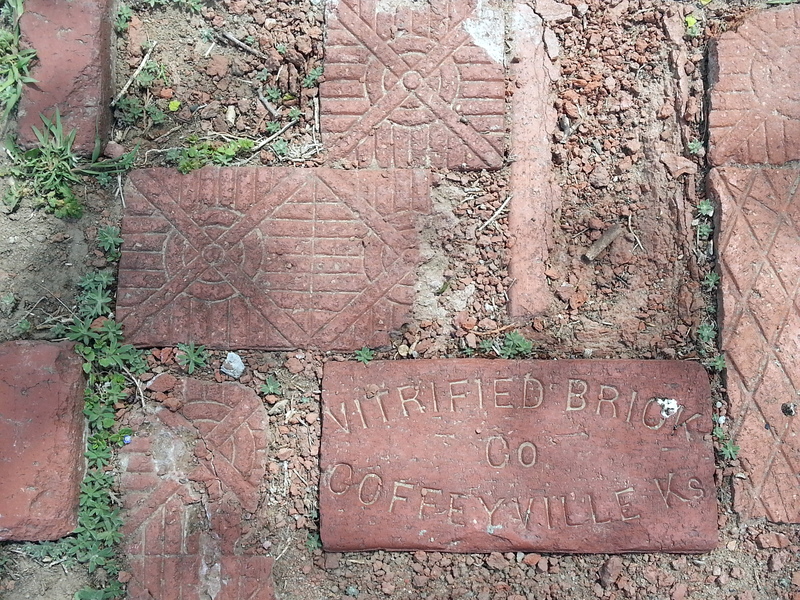 The “cemetery” has a few fake wooden headstones, but even they’re not the real deal. There are a few nice metal lamppost ornaments depicting the town. Each was different – these were pretty nice. Here’s an odd combination. Of course, it was closed…. We cycled out to the very edge of town to the feedlot overlook – a view of many thousands of cattle who eventually will take their last walk across the street to the processing plant. One Texas Longhorn steer gave me a glance, but he was a distance off, and it was blowing so hard I couldn’t hold my camera steady enough to get a shot of him. They are pretty impressive to see. 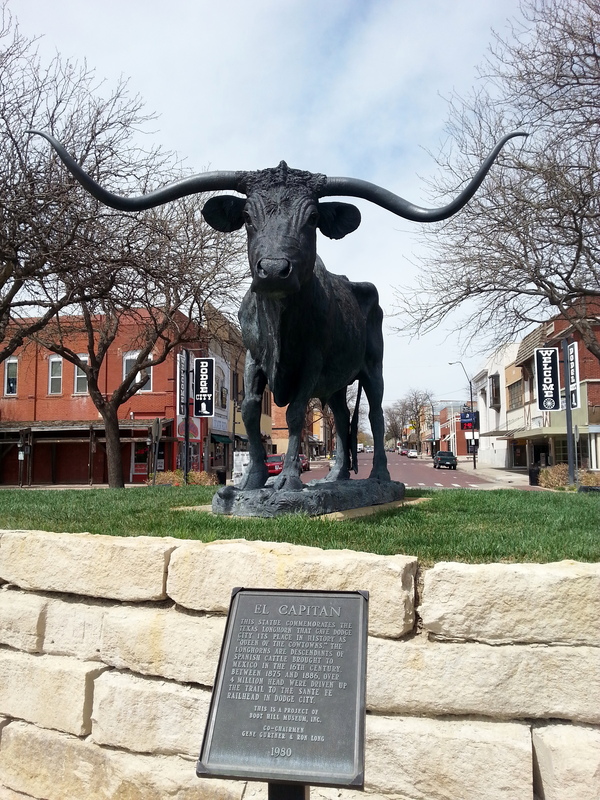 Dodge City has a history with cattle – during the 1870s and 1880s, over seven million steers came this way in the days of the big cattle roundups. 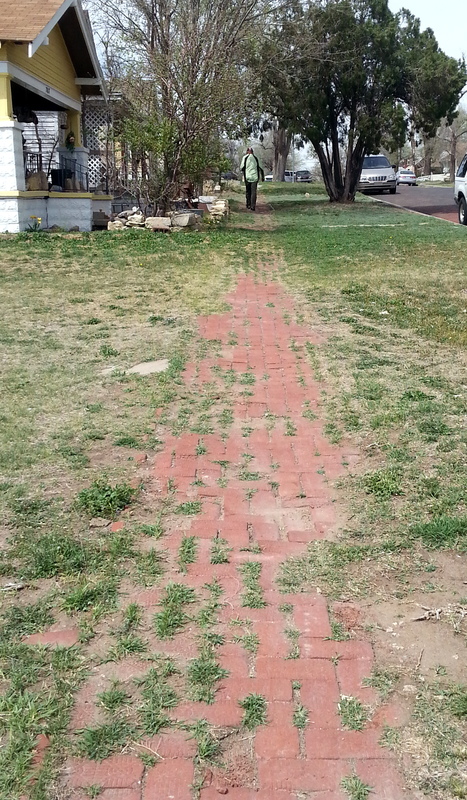 I did like these old brick sidewalks. That’s about it. We didn’t see a house or any building that looked like it had been built within the last 30 years. 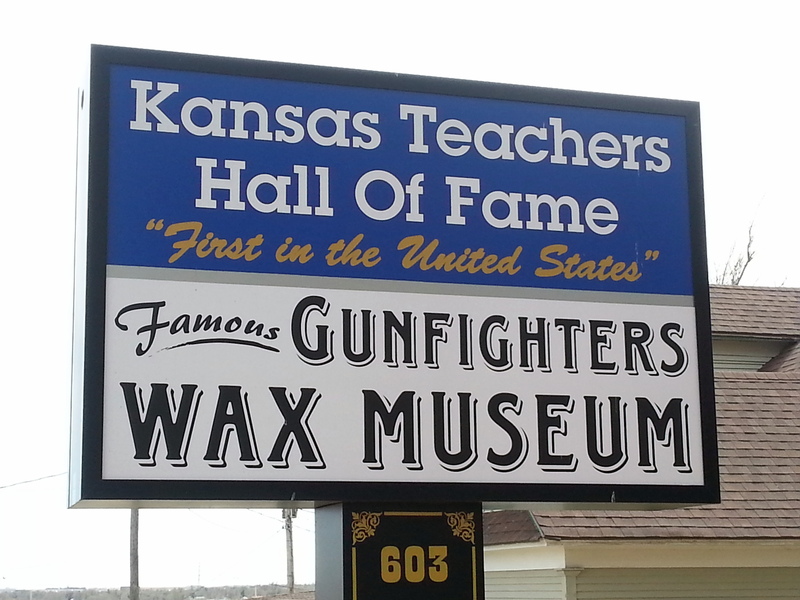 Maybe it would be more fun here when there are lots of tourists, and gunfight re-enactments in the street. Sassy bar girls. Gamblers. Cowboys. But, we won’t be back to find out.